Nifty opened strong above 6035 and made a dash towards 6100 within the first hour of trade, but saw momentum waning in the mid-session and index saw a dip towards 6050. The index finally saw huge short covering to close strong at 6115.35, a huge gain of 119.90 points. The broader market was strong, with 864 advances to 491 declines. Super support is now at 6000 level. 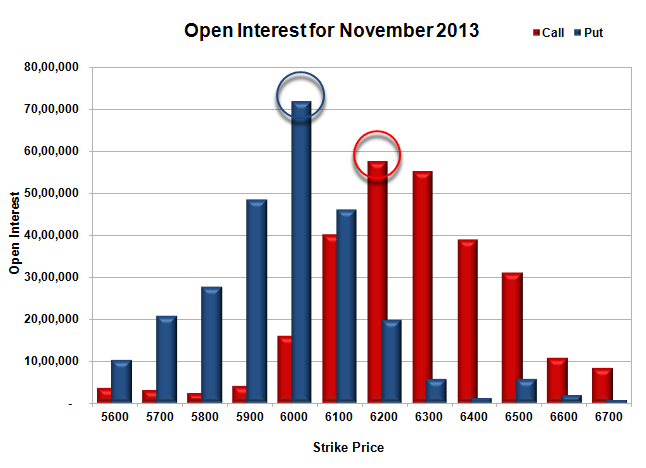 No Call option added OI with short covering seen at 6100 and lower strike prices. Put option 6200-5800 added 37.96 lacs huge amount of OI with profit booking seen at 5700 and lower strike prices. Nifty Open Interest is at 1,22,97,450 down by 15,41,200, whereas Dec Series added 23.13 lacs with increase in price, most probably 100% rollover with huge long build-up. Bank Nifty Open Interest is at 14,83,650 down by 2,21,875, whereas Dec Series added 1.45 lacs with increase in price, most probably roll-over with short covering in present series. FII’s bought huge 8.78 lacs Futures, mostly long build-up, as their net OI increased by 9555 contracts (includes 140889 longs and 123324 shorts for the day) and the average price per contract comes to around 6096.75. FII’s future open contract as on date is 526139. PCR Open Interest (Volume) jumped up to 1.028. Initial support back at 6100, with huge OI addition for the day at 21.85 lacs and below that at 6000 with highest OI of 71.81 lacs. 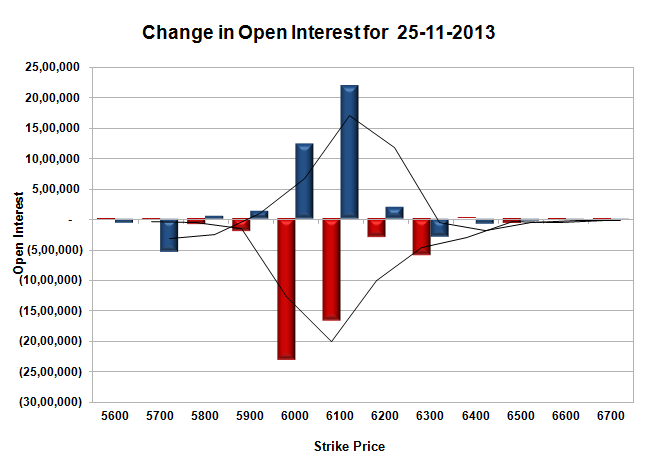 Initial and best resistance now at 6200, with OI of 57.49 lacs and above that at 6300, with huge OI of 55.10 lacs. 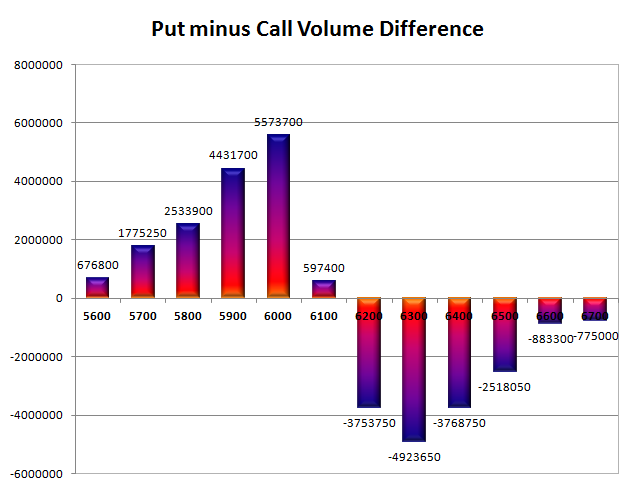 Day Range as per Option Table is 6030 - 6169 and as per VIX is 6048 - 6183 with 6006 as the Pivot.